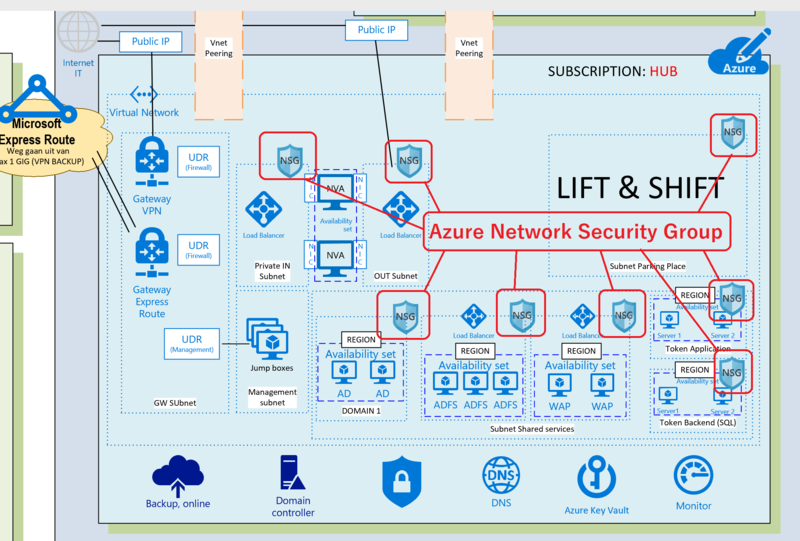 Understand the services and controls that Azure provides to help its customers meet those obligations. 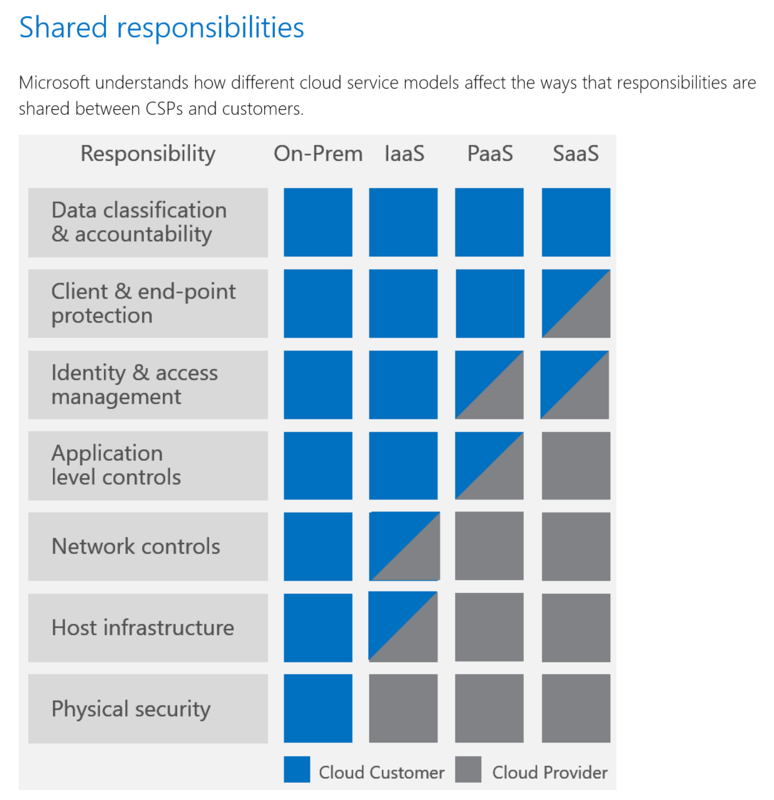 Understand the evidence that customers need to assert compliance. 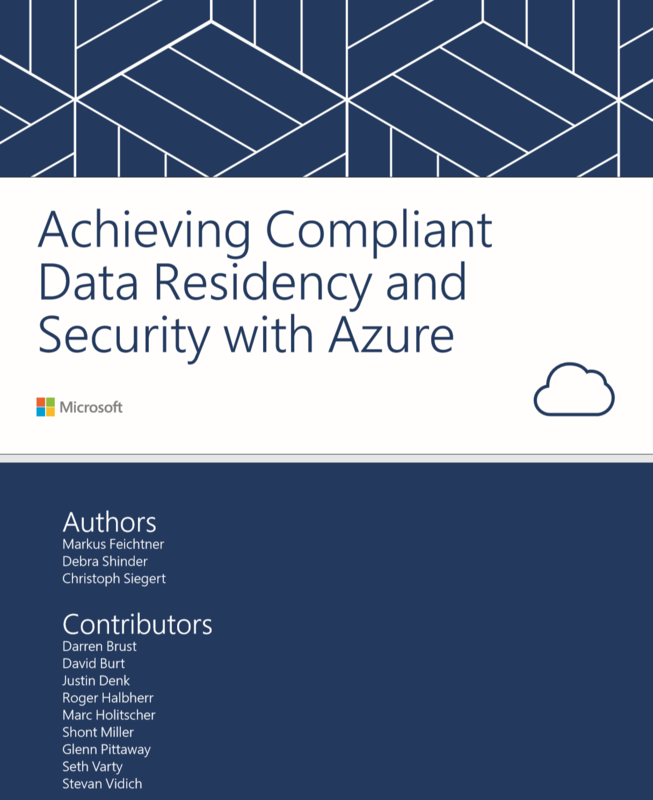 The paper is structured into these three sections, with each diving deeper into the security and technologies that help Microsoft customers to meet data protection requirements. 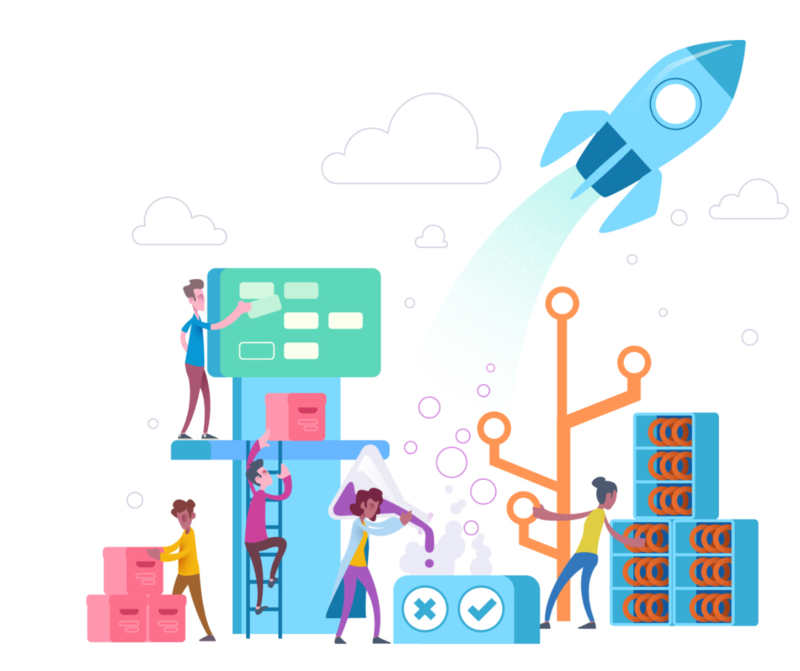 The final section discusses specific requirements to which industries and organizations in selected European markets are subject. 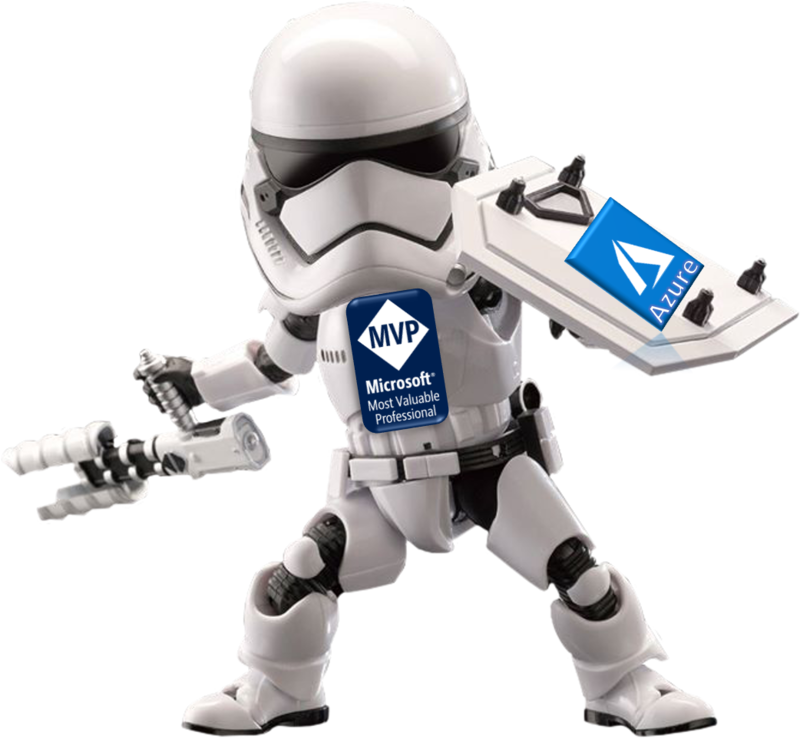 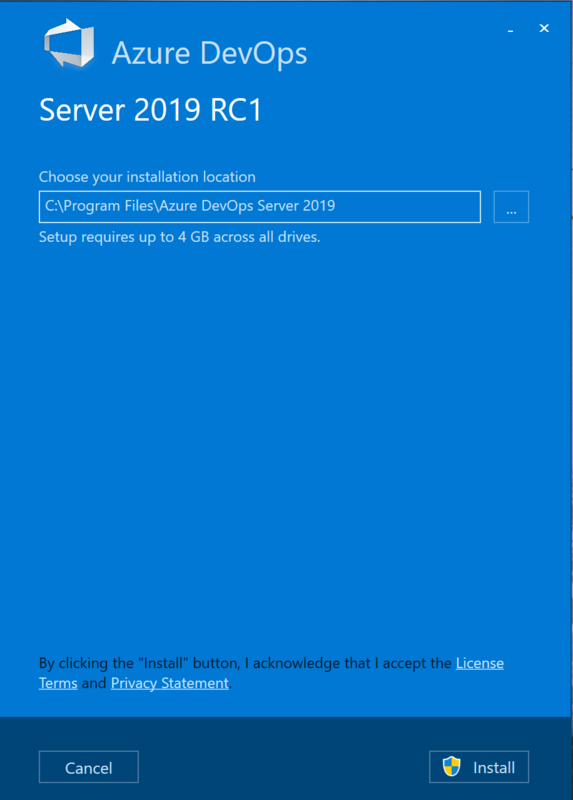 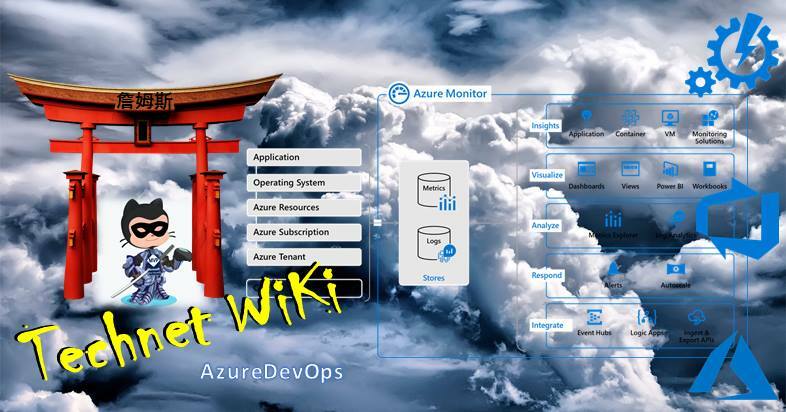 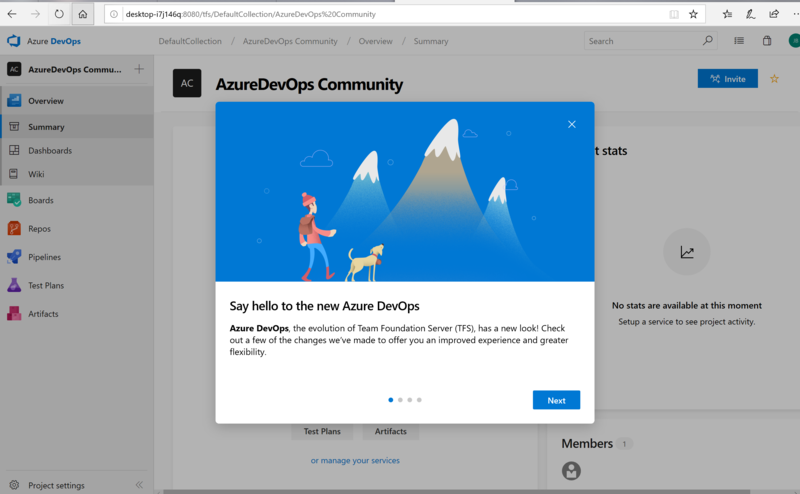 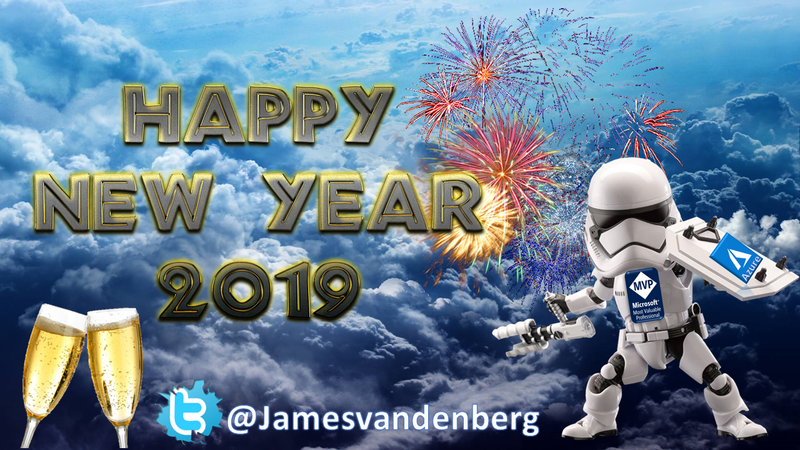 Categories: ARM, Azure, Azure AI, Azure Monitor, Azure Security, Azure Stack, AzureDevOps, Containers, Microsoft Azure, SQL, Windows Server 2019, WindowsAzure | Tags: Azure, AzureStack, Cloud, Compliance, Controls, Data, Microsoft, MVPBUZZ, Protection, Responsibilities, Security, Whitepaper | Permalink. 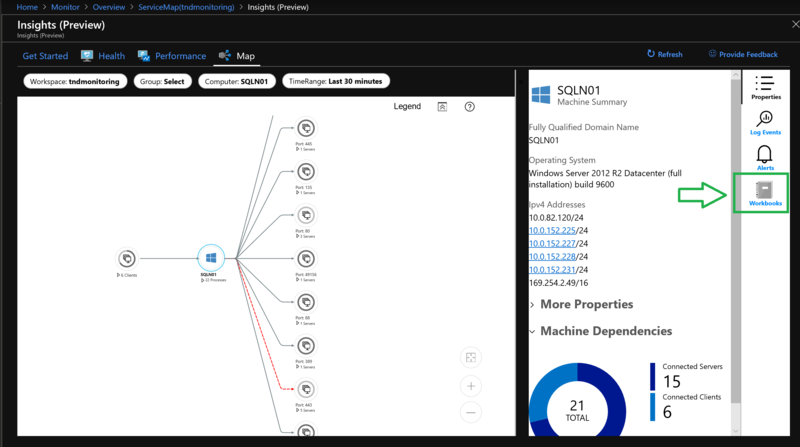 Azure Monitor for VMs monitors your Azure virtual machines (VM) and virtual machine scale sets at scale. 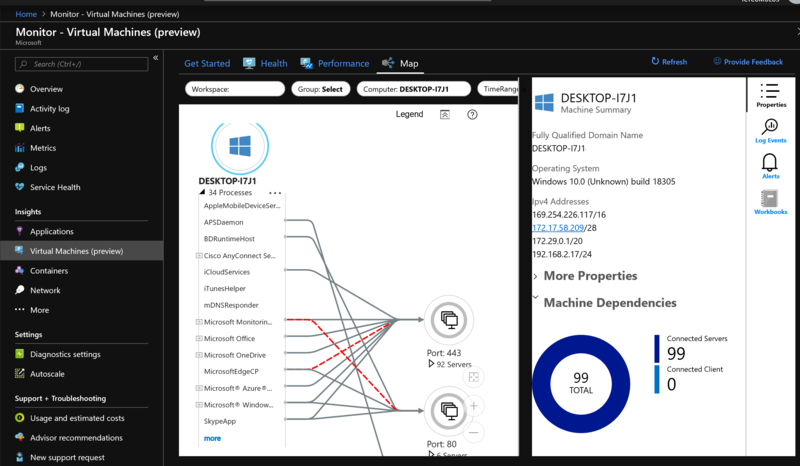 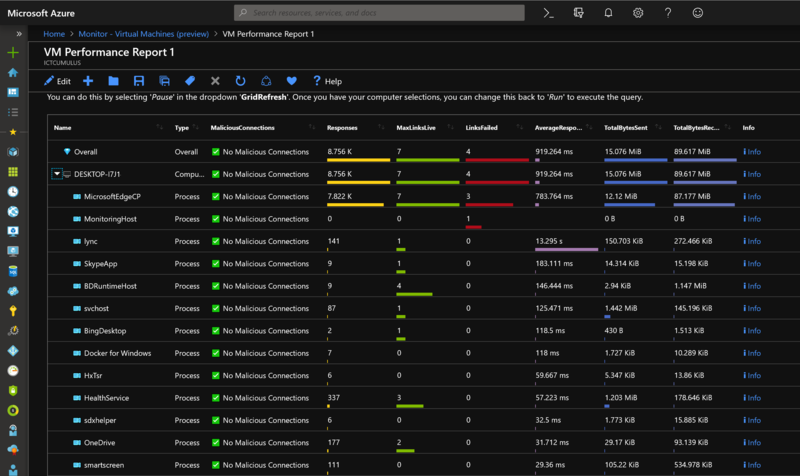 The service analyzes the performance and health of your Windows and Linux VMs, monitoring their processes and their dependencies on other resources and external processes. 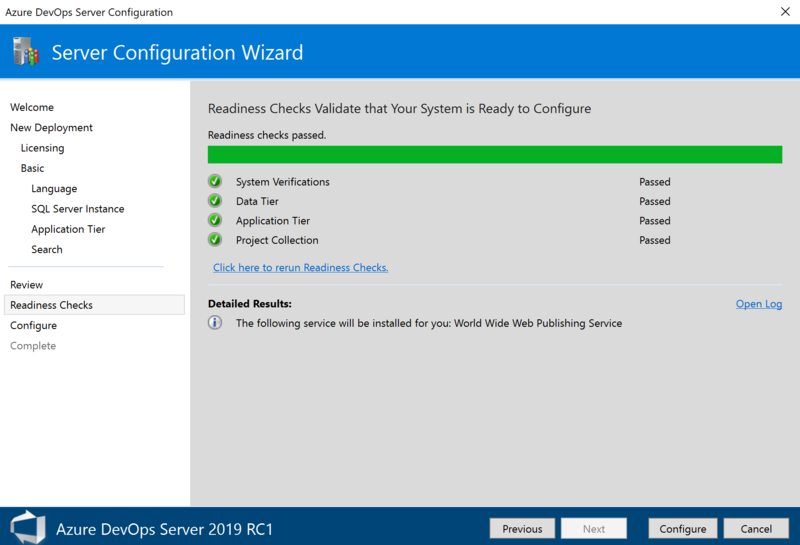 Logical components of Azure VMs that run Windows and Linux: Are measured against pre-configured health criteria, and they alert you when the evaluated condition is met. 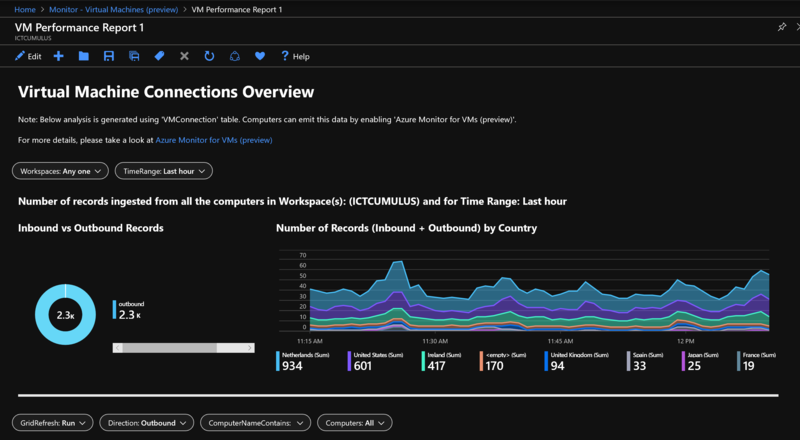 Pre-defined, trending performance charts: Display core performance metrics from the guest VM operating system. 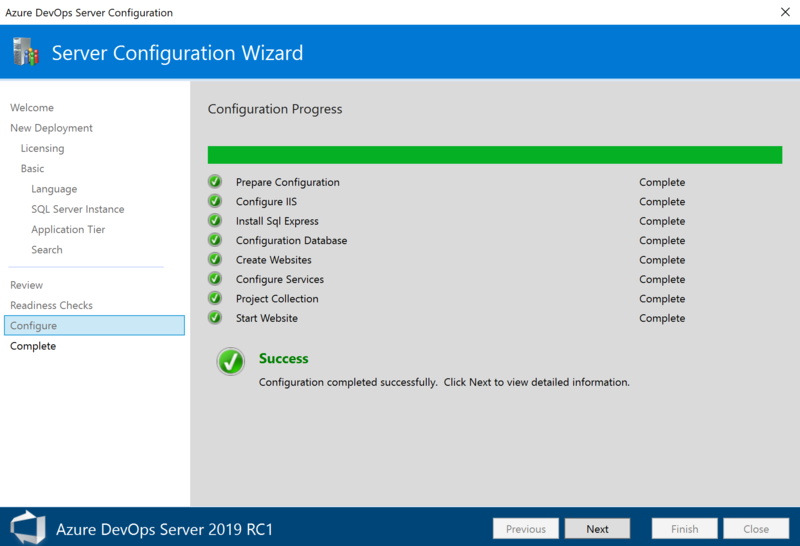 Here in the Event you see two Configuration Changes. 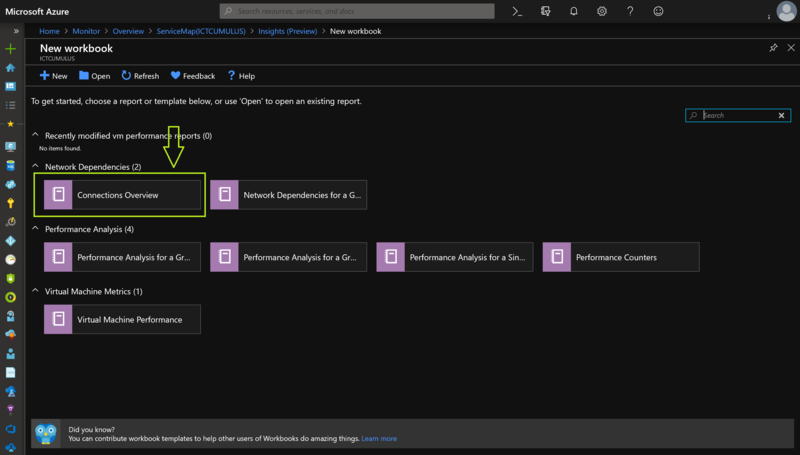 Workbooks combine text, Analytics queries, Azure Metrics, and parameters into rich interactive reports. 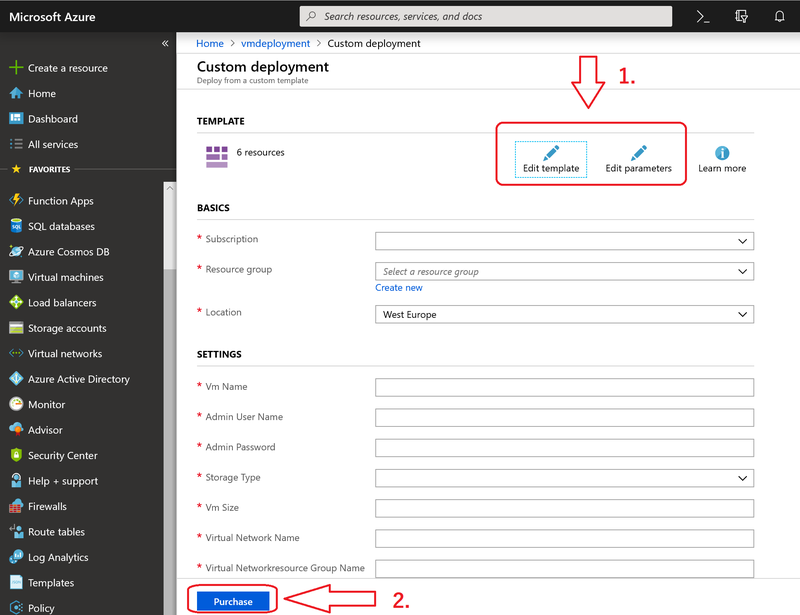 Workbooks are editable by any other team members who have access to the same Azure resources. 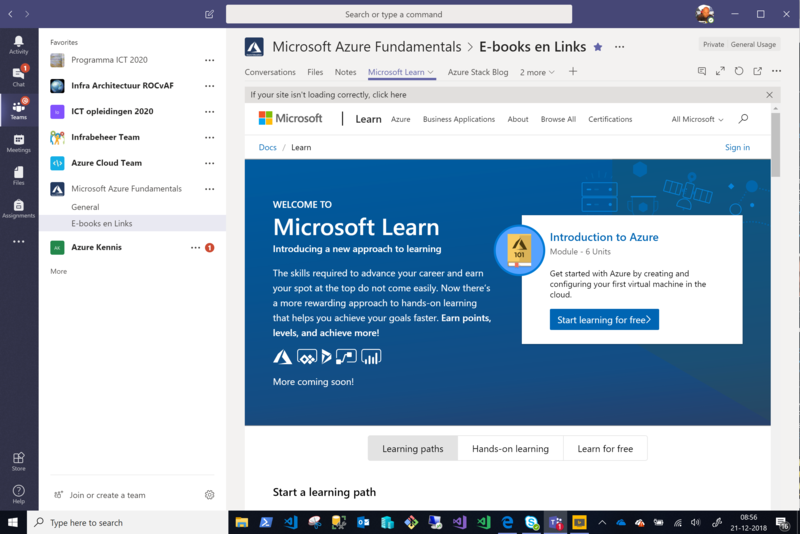 Here you can use the default workbook templates, but you can also create your own for your Team. 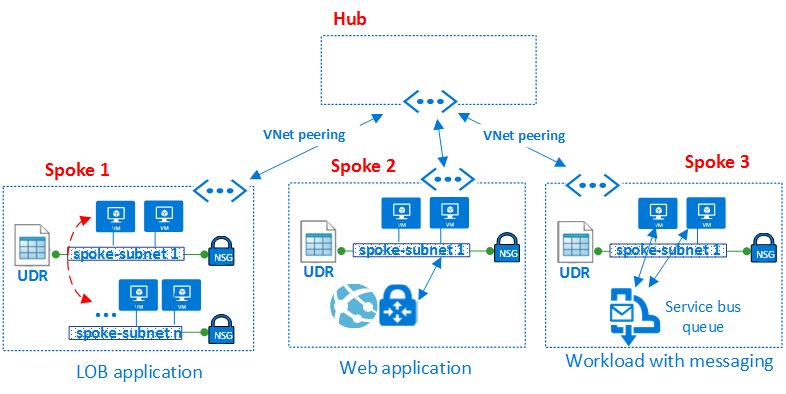 Communications of the on-premises Machine. 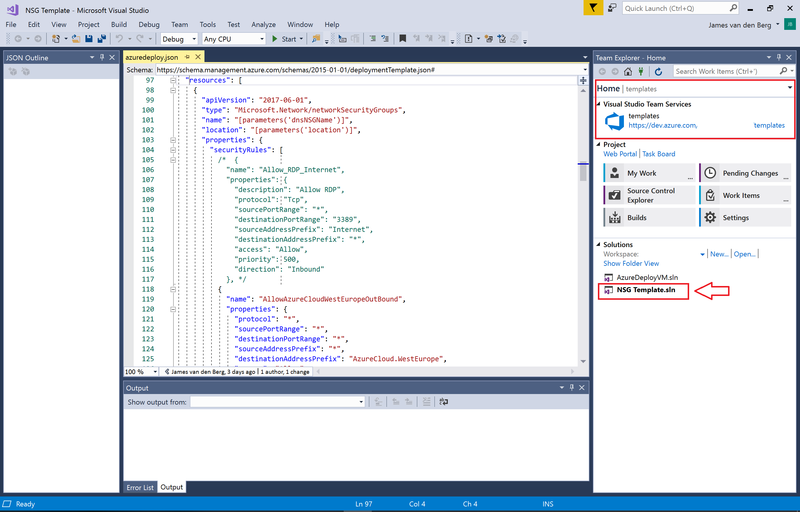 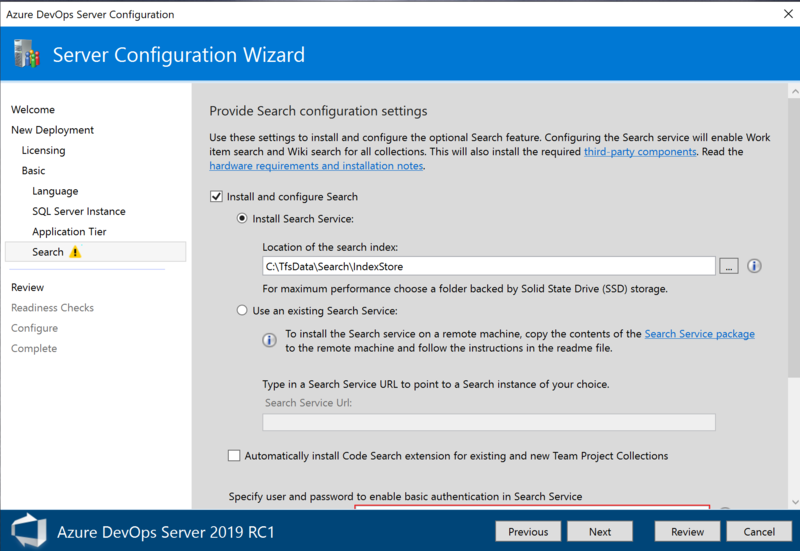 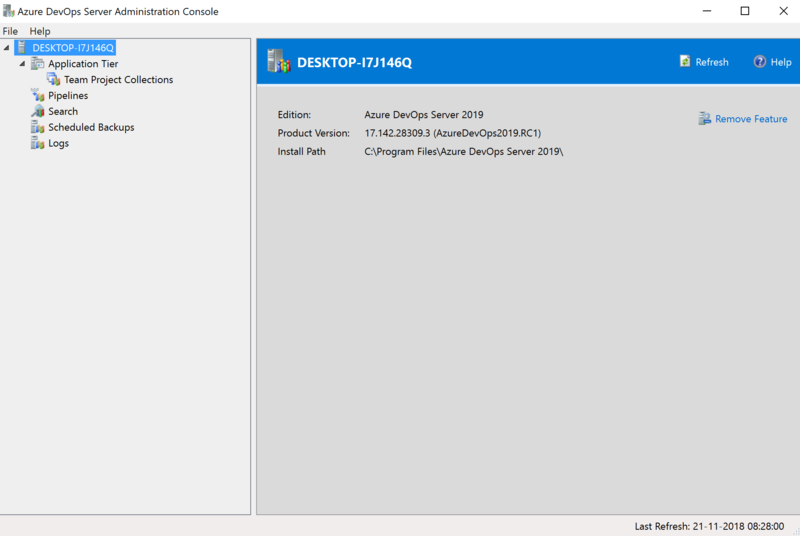 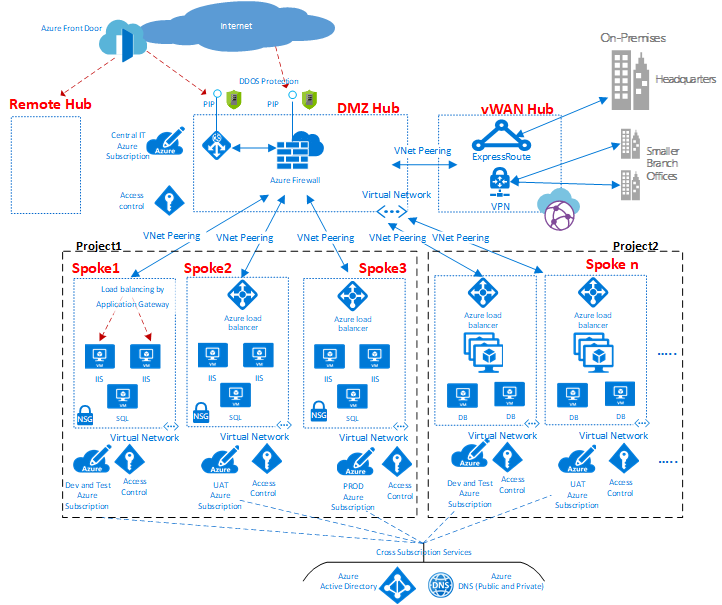 Categories: ARM, Azure, Azure Monitor, Azure Security, Containers, Linux, Microsoft Azure, OMS, Windows Containers, Windows Server 2019, WindowsAzure | Tags: Analytics, Azure, Azuremonitor, Cloud, HybridCloud, Insights, Monitoring, MSOMS, MVPBUZZ, ServiceMaps | Permalink. 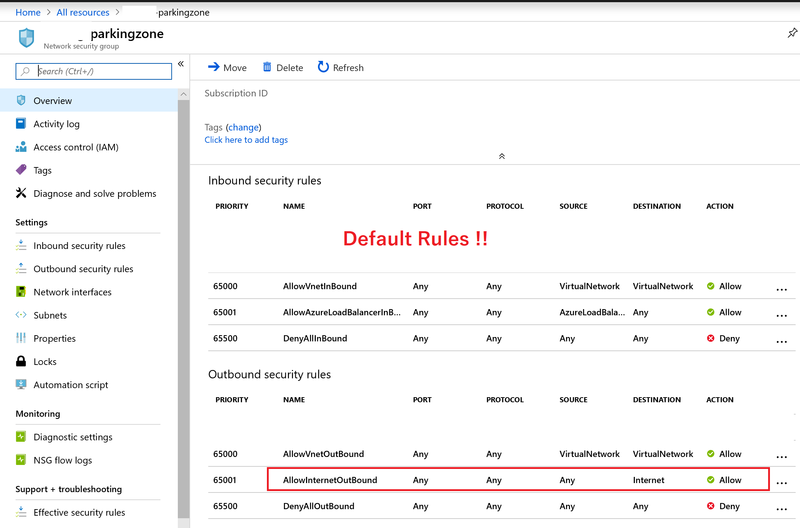 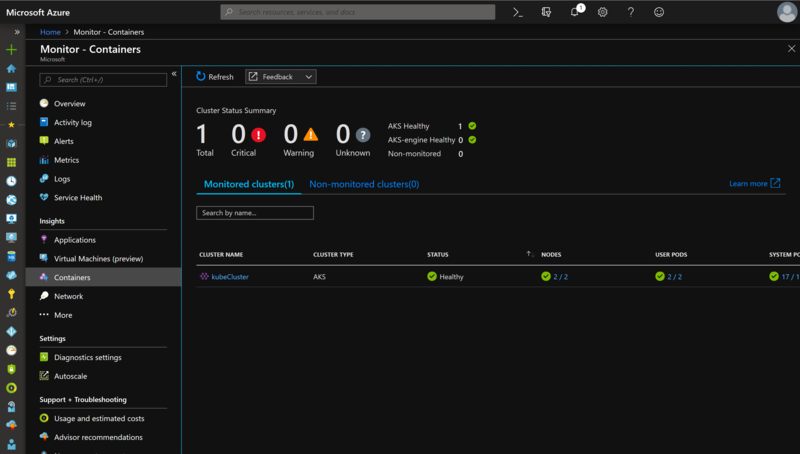 Azure Monitor for containers is a feature designed to monitor the performance of container workloads deployed to either Azure Container Instances or managed Kubernetes clusters hosted on Azure Kubernetes Service (AKS). 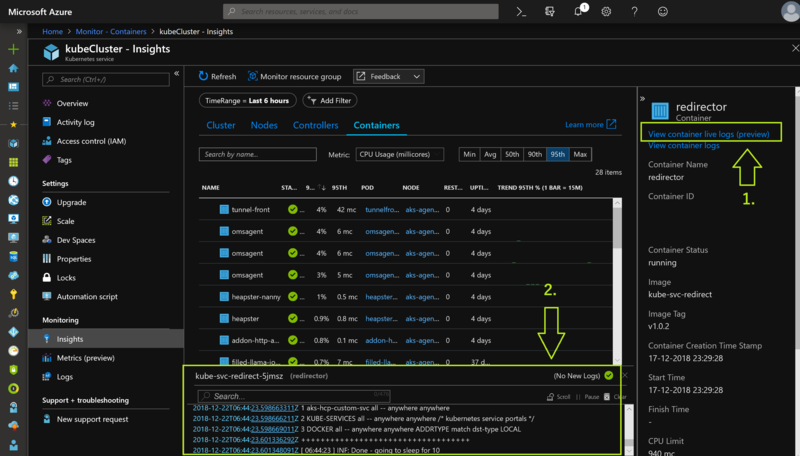 Monitoring your containers is critical, especially when you’re running a production cluster, at scale, with multiple applications. 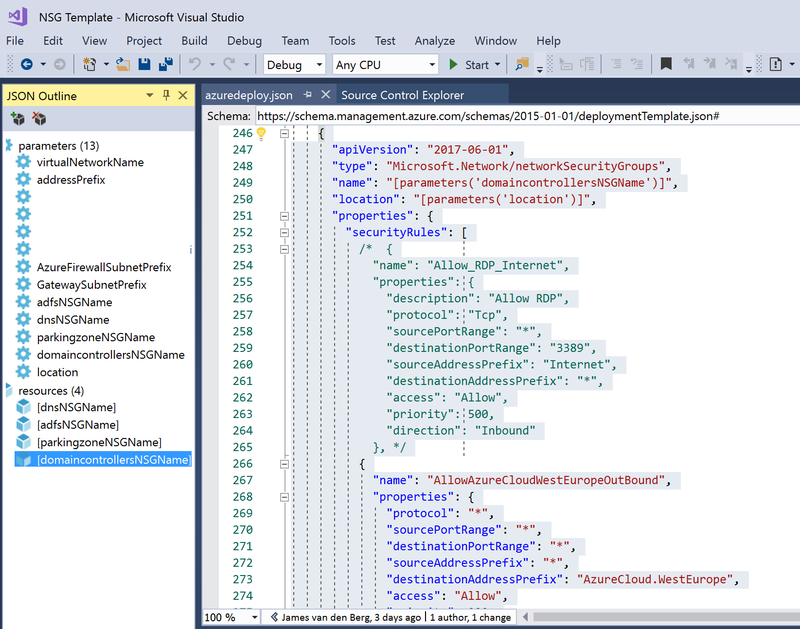 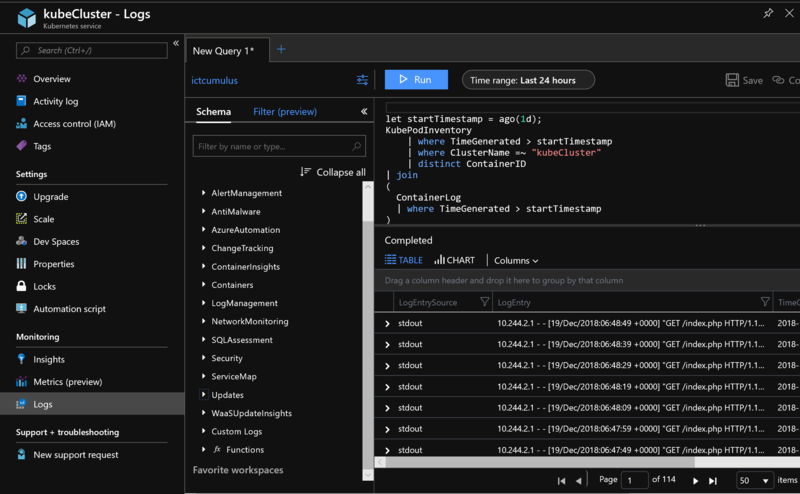 This feature provides a real-time view into your Azure Kubernetes Service (AKS) container logs (stdout/stderr) without having to run kubectl commands. 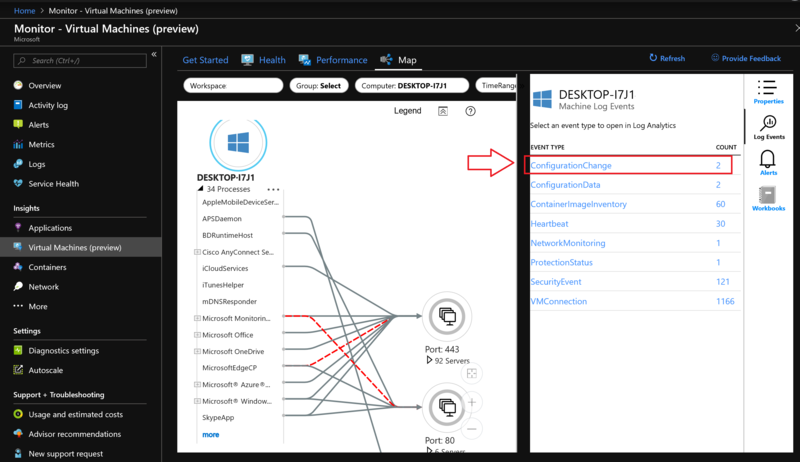 When you select this option, new pane appears below the containers performance data table on the Containers view, and it shows live logging generated by the container engine to further assist in troubleshooting issues in real time. 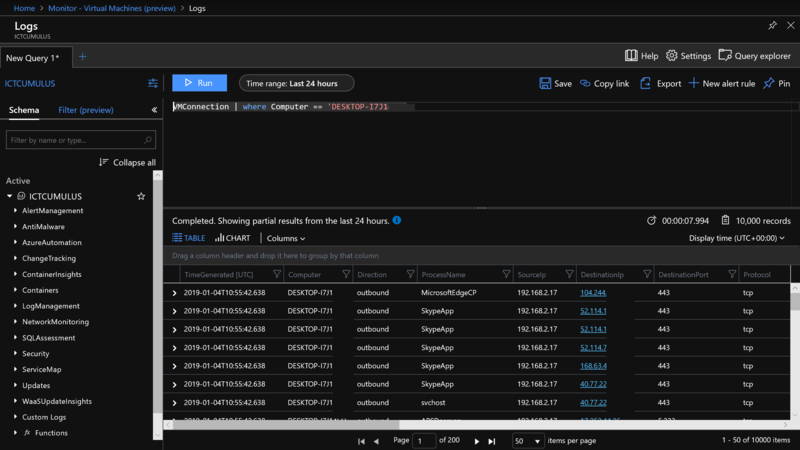 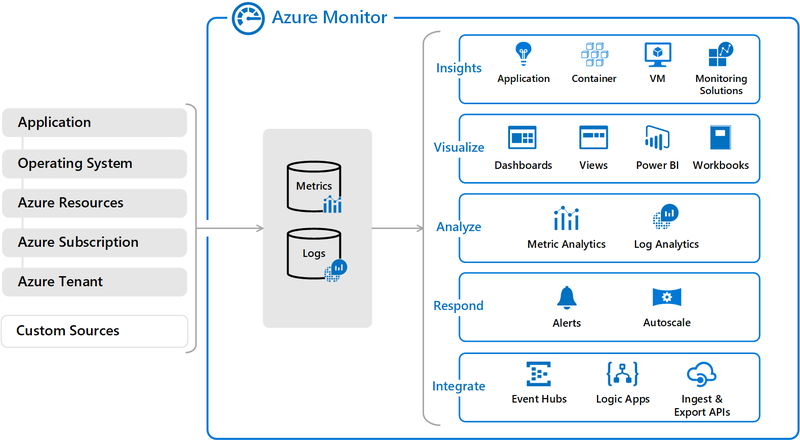 Azure Monitor for containers uses a containerized version of the Log Analytics agent for Linux. 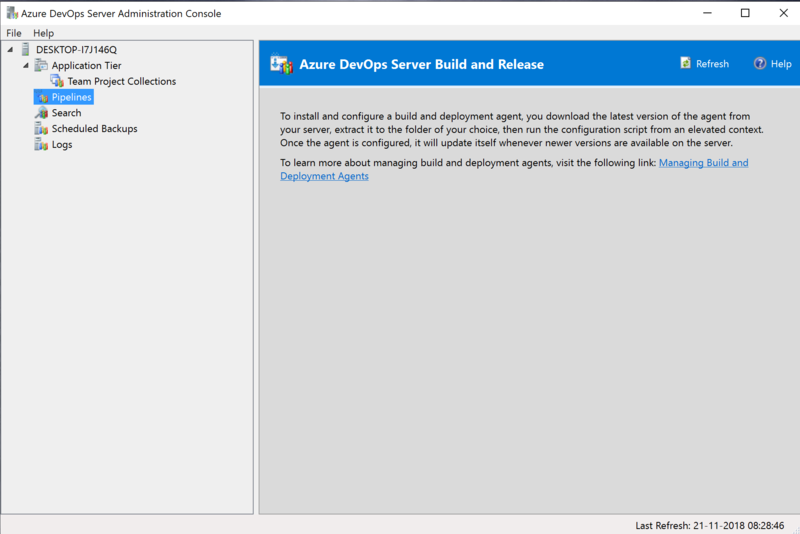 After initial deployment, there are routine or optional tasks you may need to perform during its lifecycle. 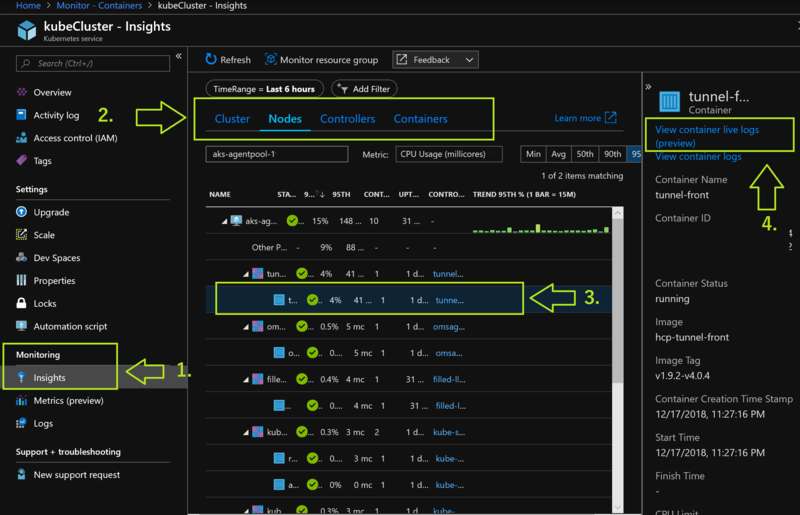 When you have your production workload running on Azure Kubernetes Clusters, It’s important to monitor to keep you in Control of the solution in Microsoft Azure and watch for improvements like performance for the business. 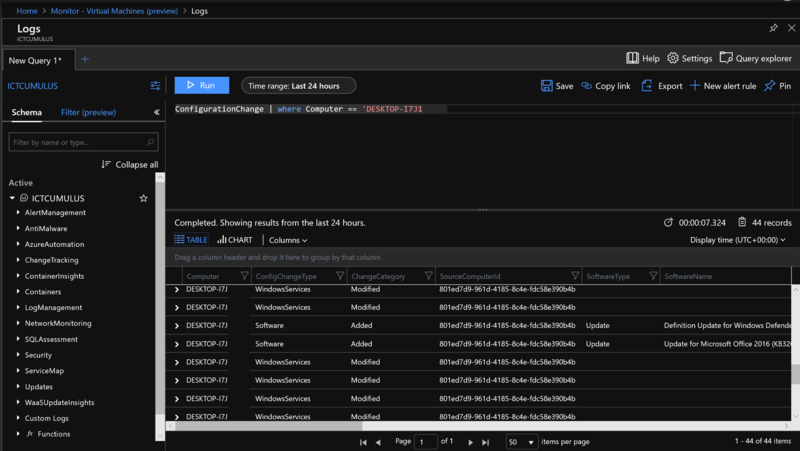 With Container Live logs you can see what is going on in the Containers when you have issues and that’s great for troubleshooting to get your problem solved fast. 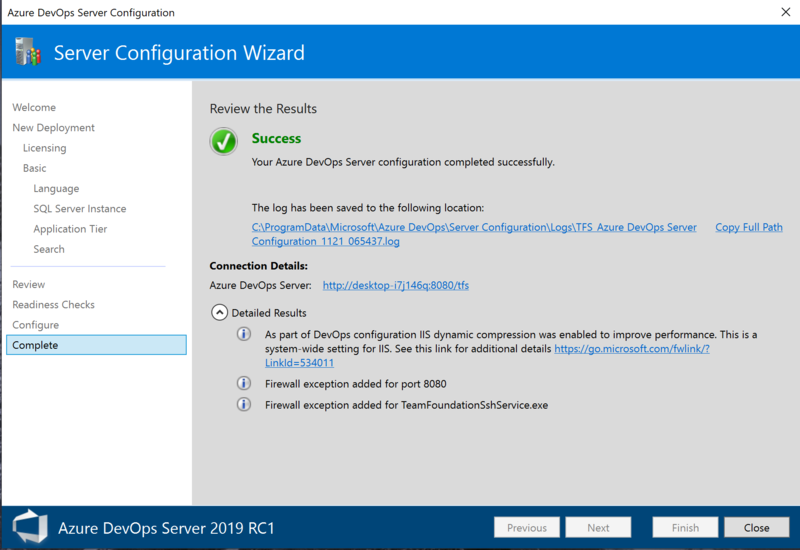 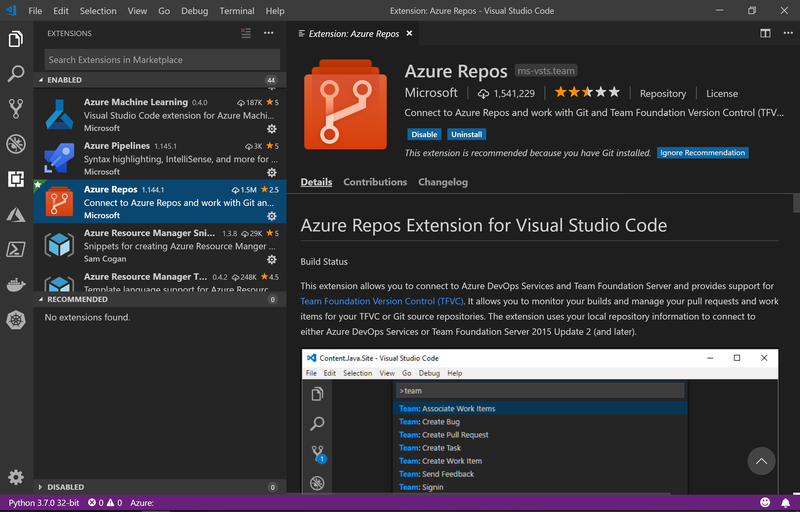 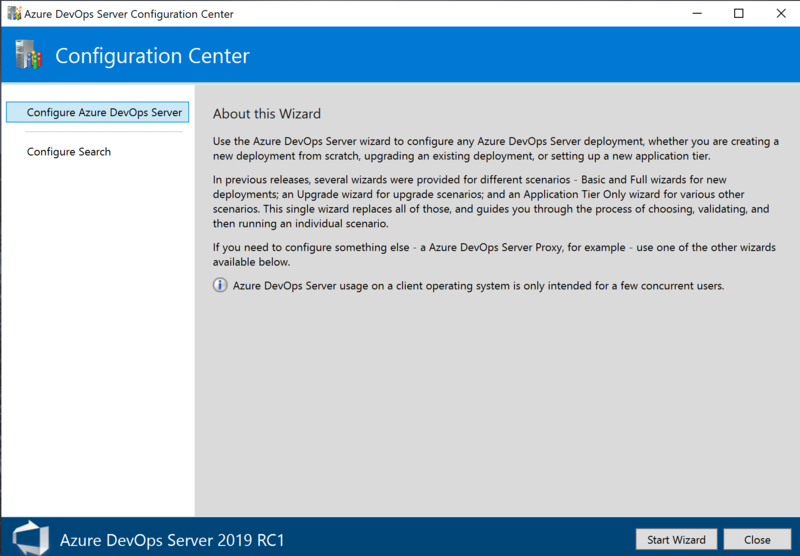 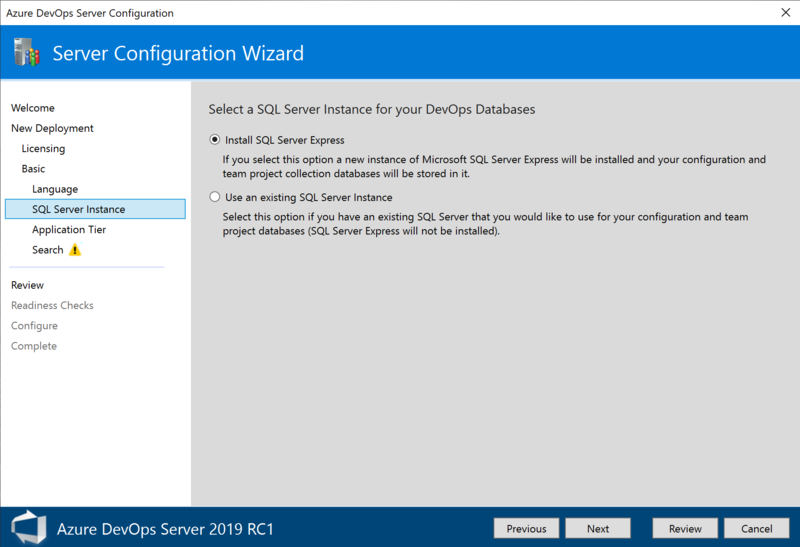 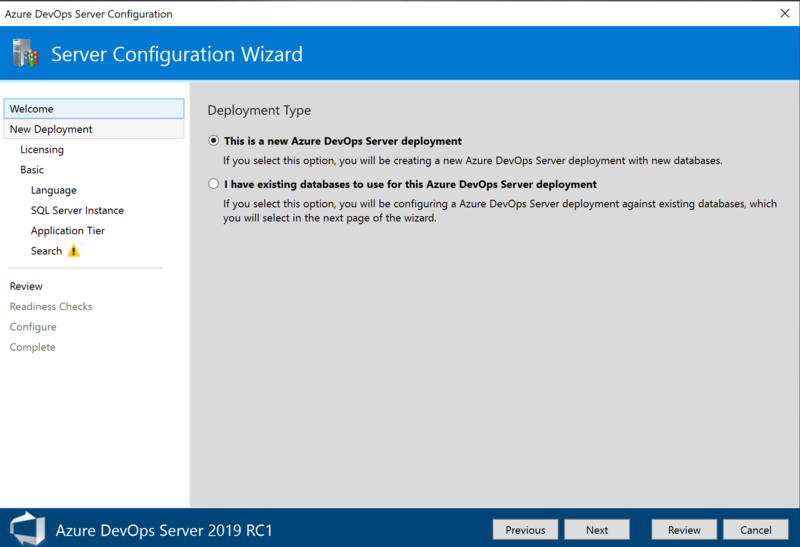 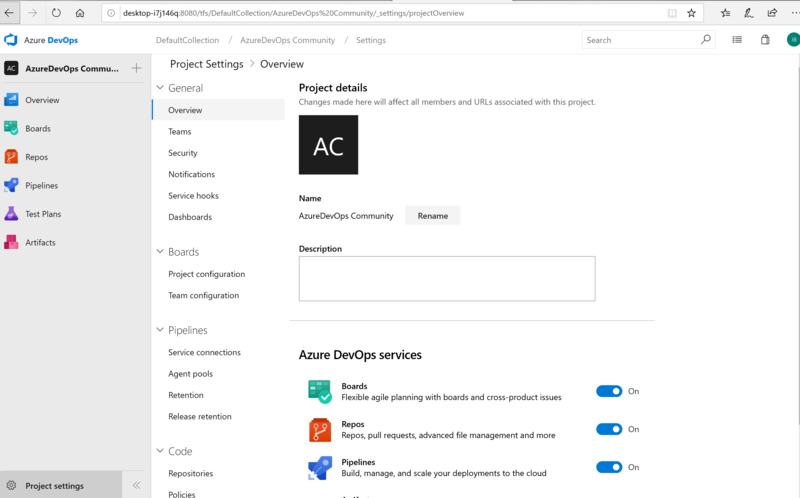 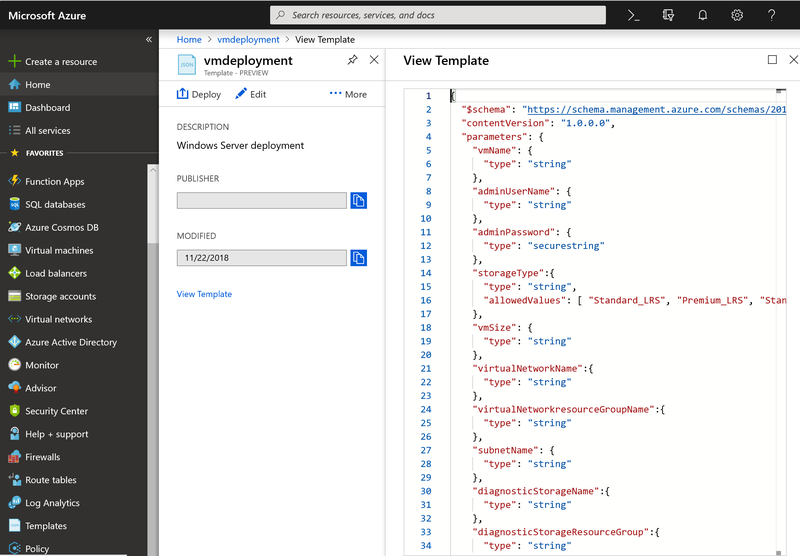 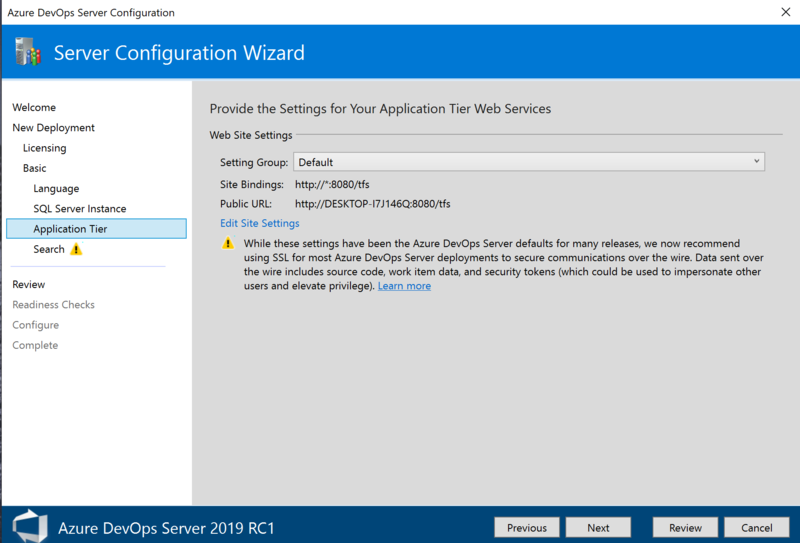 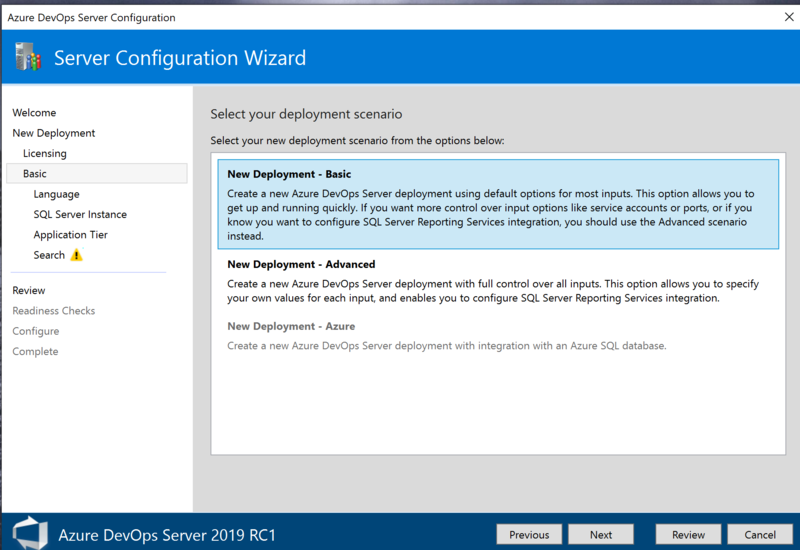 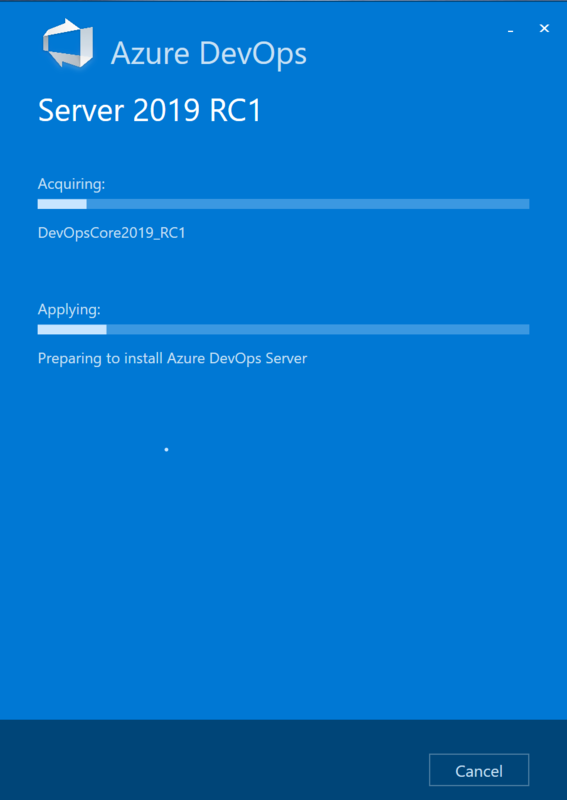 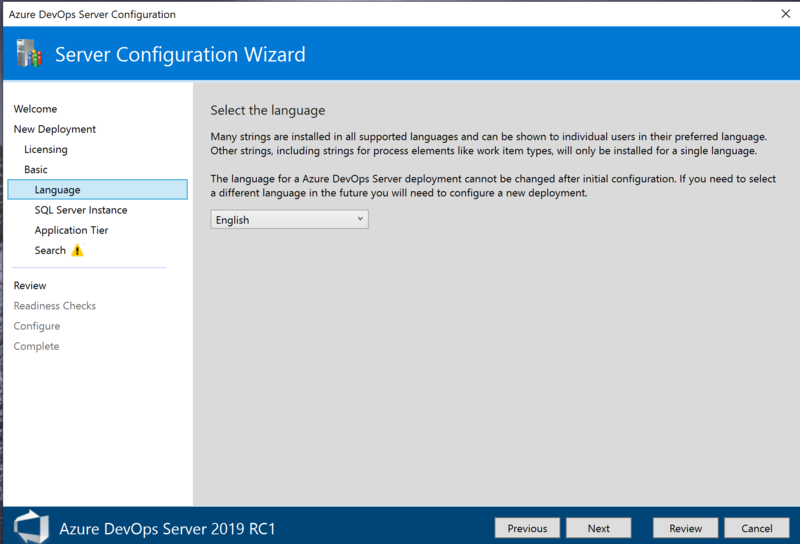 Get your workload into Azure Containers and make your Azure DevOps CI/CD Pipelines in the Cloud. 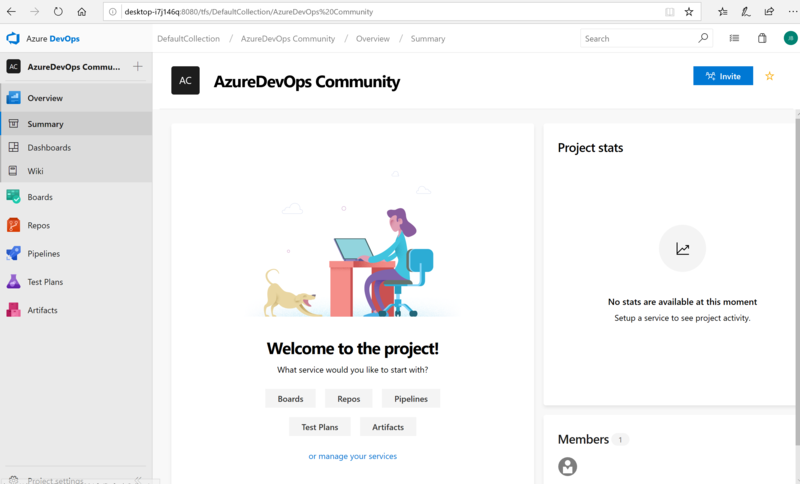 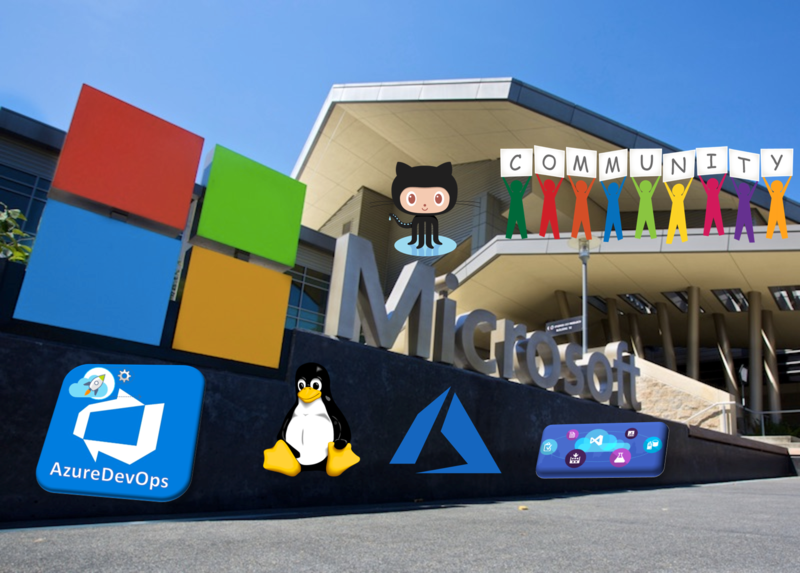 Categories: ARM, Azure, Azure Monitor, Azure Security, Azure Stack, AzureDevOps, Containers, Docker, Linux, Microsoft Azure, OMS, Windows Containers, WindowsAzure | Tags: AKS, Azure, AzureDevOps, Azuremonitor, Cloud, Containers, DevOps, Kubernetes, Linux, Microsoft, Monitoring | Permalink.